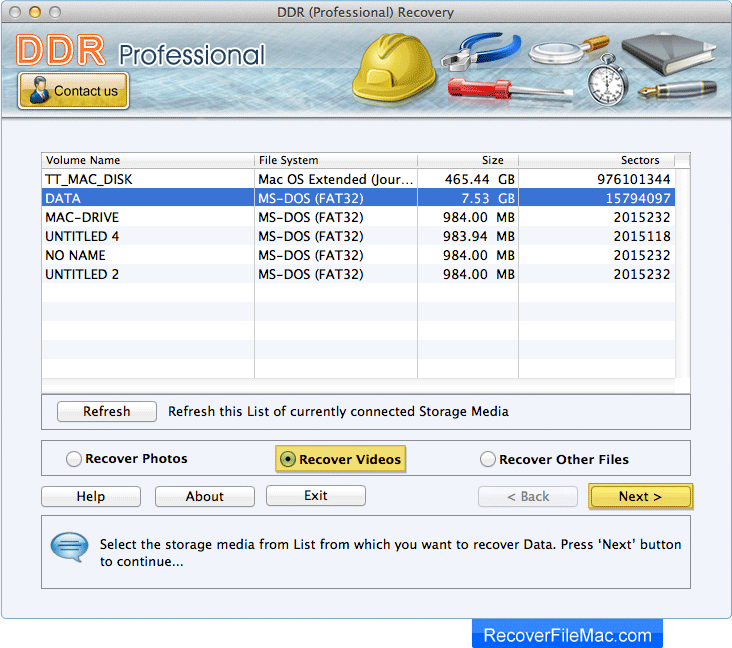 Select the storage media from list and choose any one option either Recover Photos, Recover Videos or Recover Other Files. Click on 'Next' button to continue. 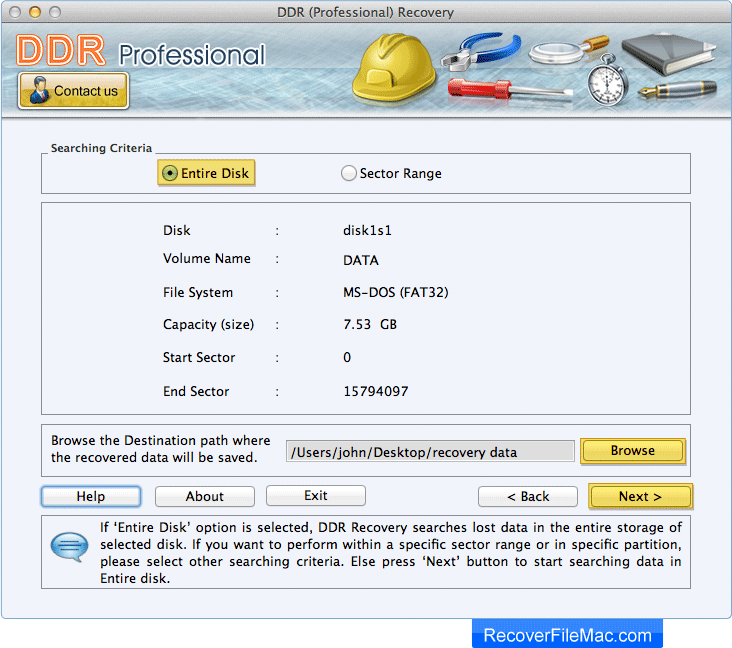 Select “Entire Disk” if you want to search data within entire storage of selected disk and click on “Browse” button to browse the location where you want to save recovered data. 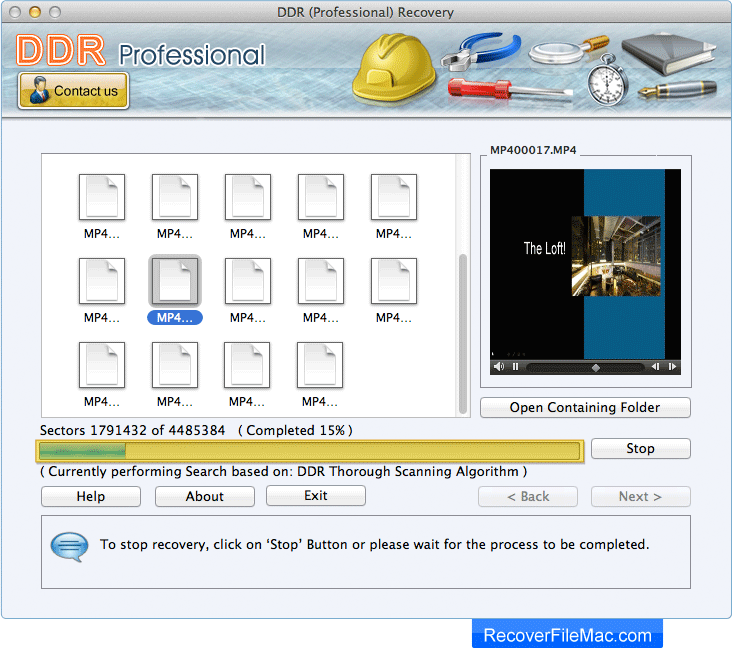 Currently performing disk scanning using “DDR Thorough Scanning Algorithm”. 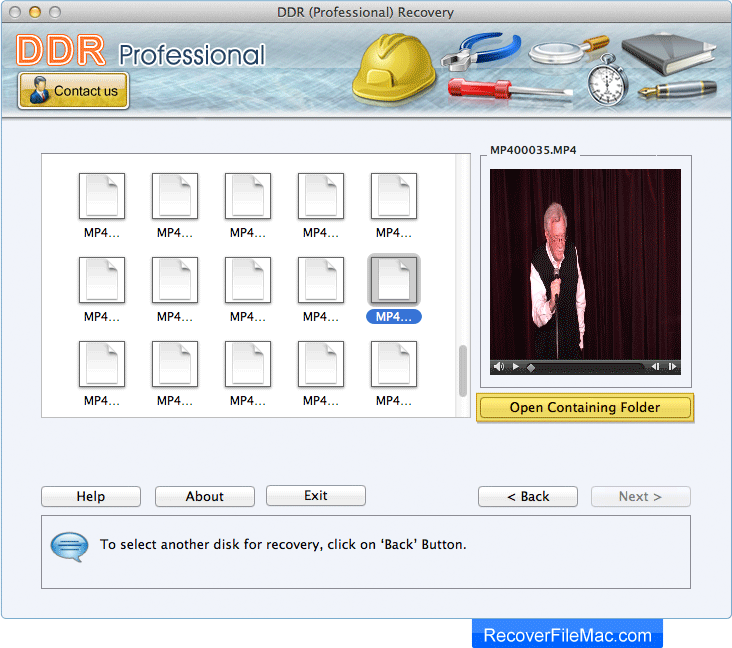 Now, you can see your recovered files by clicking on 'Open Containing Folder' button.